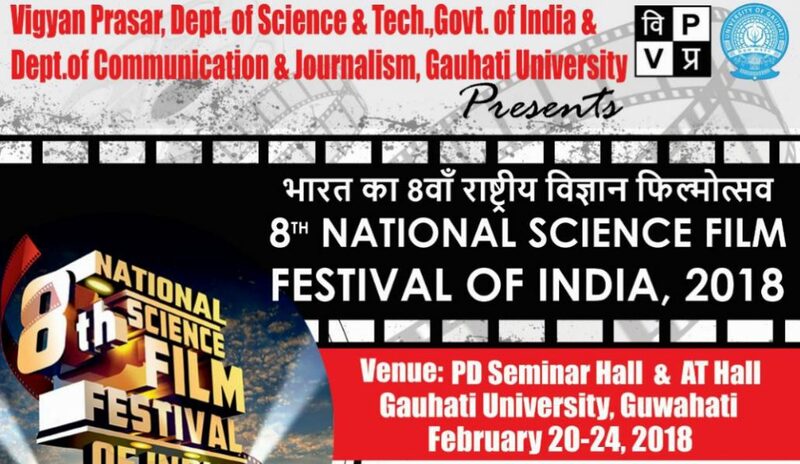 The 8thNational Science Film Festival of India 2018 will be held at Gauhati University from February 20-24. It has been organized by Vigyan Prasar, an autonomous organization under the Department of Science and Technology, Government of India in association with the Department of Communication and Journalism, Gauhati University. The main objective of the programme is to highlight the various cinematic endeavors undertaken by students either individually or in a group, academic and research centers, universities etc. The competition is open to films made on science, technology, innovations, medicine, environmental and health issues, said a university official. The financial help needed for producing such movies is often provided by some government or non-governmental organization and are also often backed by funds provided by production agencies, media house, research institutes etc. A synopsis of the movie is to be sent first to the organization, after being short-listed; the movies are then evaluated further and placed under different categories. “Some of the categories under which the films will be sorted are documentaries, animation, short-fiction, emerging science/innovation etc.” he said. Various film-makers whose movies have made a lasting impact in the scientific community are also invited to showcase their work to motivate budding science film-makers.